Hakuhodo is an award-winning creative advertising agency in Malaysia, creating brand experiences through understanding people holistically. Kuala Lumpur — May 15, 2017 — Hakuhodo Institute of Life and Living ASEAN (“HILL ASEAN”) a think tank established in Thailand in March 2014 by Japan’s second largest advertising company, Hakuhodo Inc., today announced findings from its latest research into ASEAN sei-katsu-sha. 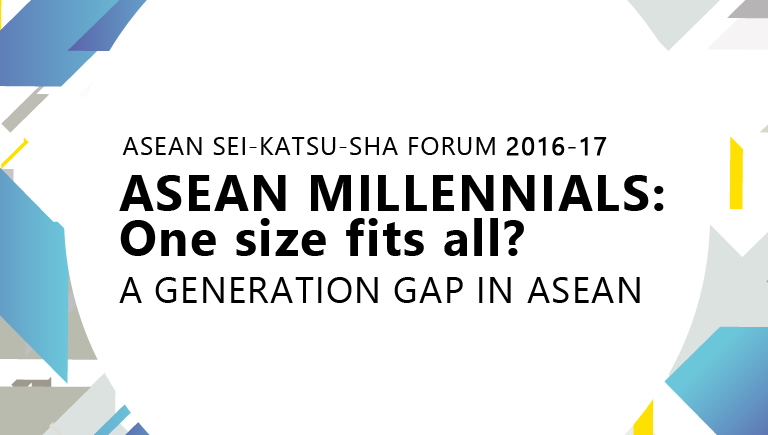 Entitled “ASEAN MILLENNIALS: One Size Fits All? A Generation Gap in ASEAN,” the presentation, based upon in-depth qualitative and quantitative research in Malaysia and 5 other ASEAN markets, highlighted important differences in attitudes to life and work and interactions with digital technology, amongst those who are often categorised together as a single ‘Millennial Generation’ entity, both in Malaysia and other ASEAN countries. Millennials, or those born in the 1980s and 1990s, have captured the attention of the marketing industry the world over. With their fresh values and high degree of fluency in digital technology, Millennials are very different from previous generations and have been notoriously difficult to reach with traditional marketing approaches. 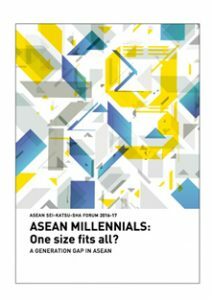 Millennials are especially prominent in ASEAN countries; whose populations have a high percentage of young people. However, given the dramatic social and economic shifts that have taken place in these countries in recent years, it is difficult to define such a broad age group as a single entity. In this study, HILL ASEAN studied the perceptions and habits of sei-katsu-sha Millennials in Malaysia and ASEAN, and as a result identified clear differences in behaviour between those born in the 1970s, 1980s and those born in the 1990s. Analysis of the research revealed gaps between them in the way they live and work, their use of digital technology, their shopping behaviour and more. In general, Millennials born in Malaysia during the 1980’s were shaped by the difficult economic circumstances and political upheavals of the past, which may not have impacted them directly, but certainly affected their parents and extended families. At the same time, they were also born into a transforming society with high promise for the future. This has resulted in a group of 1980’s Millennials who understand that the world is uncertain and as a result they actively try and minimize risk and maximize opportunity for themselves – and they demonstrate this is many different ways through their work, lifestyle and purchasing habits. However, Millennials born in the 1990’s were not so impacted by difficult times in the past and were much more influenced by the opportunities offered by a promising future, particularly the rapid development of digital technology and globalization. As a result, this group of Millennials are much more willing to take on potentially risky challenges, which they see as opportunities, and are much more less likely to make distinctions between their professional and personal lives. The differences between these two groups, who have historically been lumped together as the Millennial Generation, has profound implications for anyone trying to interact and market products to them. The difference between these two groups of Millennials was particularly pronounced in Malaysia where 77% of 1980s Millennials felt a ‘generation-gap’ between themselves and 1990’s Millennials, as opposed to the ASEAN average of 70%. Similarly, 70% of 1990s Millennials in Malaysia felt that there was a generation gap with the 1980s Millennial cohort, which again surpassed the ASEAN average of 66%. As a result of this research it is evident that there is a clear divide in the attitudes and lifestyles of Millennials in the six ASEAN countries covered, and that this is particularly marked in Malaysia. For details on the presentation, please visit the HILL ASEAN website at: http://www.hillasean.com/. Hakuhodo Institute of Life and Living ASEAN is continuing to conduct sei-katsu-sha research, observing sei-katsu-sha from unique viewpoints and offering insights from fresh perspectives. When we asked Millennials born in the 1980s and 1990s in six ASEAN countries (Thailand, Indonesia, Singapore, Malaysia, Vietnam, Philippines (“ASEAN-6”)) whether they perceived a generation gap, the scores for the 1980s cohort who perceive a gap between the 1980s- and 1990s-born were 70% across the ASEAN-6 and 76% in Malaysia. The scores for those born in the 1990s toward those born in the 1980s were 66% across the ASEAN-6 and 70% for Malaysia. One possible reason for the high proportion of Malaysians born in the 1980s who perceive a generation gap between themselves and those born in the 1990s may be the size of the gap in the degree to which the advent of Facebook and smartphones impacted the lifestyles of the 1980s- and 1990s-born. When we asked what historical events had most impacted their lifestyles, those born in the 1980s often cited the Asian Financial Crisis, which occurred in 1998 when they were in their teens. Scores for the Asian Financial Crisis were high for both the 1980s- and the 1990s-born in Indonesia and Thailand, countries whose economies took massive hits during the Crisis. With their parents losing their jobs, leaving their families behind to seek work elsewhere or moving their households, the impact of the crisis was personal. In Malaysia, the Asian Economic Crisis also had a bigger impact on 1980s-born Millennials as did the introduction of internet banking, new travel opportunities, and the introduction of smartphones. Unlike the other ASEAN countries where events that happened decades ago such as the Asian Economic Crisis had the most impact on their lives, Malaysia is unique, where more recent events, such as the implementation of the GST had the most impact. In a way, impacts from past decades have been neutralized by recent events. Survey implementation: Tokyo Survey Research Inc. Established in 2014, Hakuhodo Institute of Life and Living ASEAN is the Hakuhodo Group’s sei-katsu-sha think tank in the ASEAN region. Leveraging sei-katsu-sha research know-how accumulated in the thirty-plus years since launching the Hakuhodo Institute of Life and Living in Japan in 1981, the Institute supports companies’ marketing activities in the ASEAN region, while developing local insights and making proposals on future ways of living in the region. HAKUHODO Institute of Life and Living ASEAN Malaysia Team (HILL ASEAN, MALAYSIA Team) , established in 2014 with 3 researchers, studies the perceptions and habits of sei-katsu-sha in Malaysia. They all serve as Strategic Planners daily, on top of their activities as analysts and presenters at ASEAN sei-katsu-sha Forum Malaysia and publication of sei-katsu-sha magazine. Founded in 1895, Hakuhodo Inc. is an integrated advertising and communication agency headquartered in Japan. It is the core agency of Hakuhodo DY Group, the world’s seventh largest agency company according to Advertising Age’s “Agency Report 2016.” Hakuhodo has offices in 18 countries and regions, and over 3,000 employees working in Japan and over 3,000 overseas. Hakuhodo is strengthening its structure in emerging countries, particularly those in Asia, as it prepares to further expand its business across the region. Sei-katsu-sha insight is the foundation for Hakuhodo’s thinking, planning, and brand building. It reminds us that consumers are more than shoppers performing an economic function. They have heartbeats. They are individuals with distinct lifestyles. Hakuhodo introduced this term in the 1980s to emphasize its commitment to a comprehensive, 360-degree perspective on consumers’ lives. Renowned for its creativity, Hakuhodo has twice won the Grand Prix at Cannes Lions International Festival of Creativity, and was the only agency headquartered in Asia to be awarded a Special Lion commemorating Cannes Lions’ 50th anniversary in 2003. To learn more, visit: www.hakuhodo.jp. Sei-katsu-sha are more than simply consumers, just as people’s lives and lifestyles include more than just shopping. Hakuhodo introduced this term in the 1980s to emphasize its commitment to a comprehensive, 360-degree perspective on consumers’ lives.